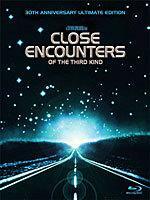 Overview - CLOSE ENCOUNTERS OF THE THIRD KIND: THE COLLECTOR'S EDITION is visionary director Steven Spielberg's definitive director's cut of his exhilarating film. This new edition of his masterpiece is digitally remastered from newly-restored film elements and includes a "making of" featurette, complete withnew behind-the-scenes footage and interviews with stars and crew. In the night skies near his Muncie, Indiana home, power repairman Roy Neary (Richard Dreyfuss) experiences something out of this world. His close encounter sets into action an amazing chain of events that leads to contact with the benevolent aliens and their Mothership. Spectacular special effects, John Williams' outstanding score and winning performances from Dreyfuss, Teri Garr, Melinda Dillon and legendary director Francois Truffaut in the role of Lacombe makes CLOSE ENCOUNTERS OF THE THIRD KIND: THE COLLECTOR'S EDITION movie magic of the best kind. At the time of its release, Spielberg's masterpiece flew in the face of all that audiences expected out of mainstream science fiction. It married a Disney-like sense of enchantment and idealism with a metaphysical exploration of faith and religion. It was the first new-age movie, re-imagining spiritual transcendence as extra-terrestrial contact. 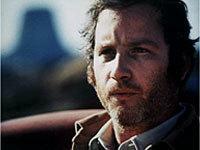 The quintessential Spielberg protagonist, blue-collar suburbanite Roy Neary (Richard Dreyfuss) is an ordinary man who finds himselfr in extraordinary circumstances. Like many classic religious figures, he becomes a pariah and an outcast, alienated from his family, friends and co-workers, finding redemption only after connecting with fellow "disciples," all of whom share a common vision and spiritual quest. The legendary film critic Pauline Kael wrote of 'Close Encounters,' "this isn't nuts-and-bolts, Popular Mechanics science fiction, it is beatific technology -- machines from outer space deified." When the film climaxes at Devil's Tower as first contact is made (in one of the film's many visually-breathtaking sequences), our hero sacrifices his life and his earthy responsibilities -- man, husband, father -- to ascend to a new level of consciousness. This unconventional ending has, over the years, caused much consternation, perhaps most of all from Spielberg himself, who has since re-evaluated the film's place in his body of work. ("It's the film that dates me the most," he says on this Blu-ray's supplements.) But even Spielberg's own ambivalence can do little to diminish the film's status as one of the most intelligent, ornate and visionary science fiction epics ever made. Of course, as has become common with so many sci-fi landmarks (including 'Star Wars' and 'Blade Runner'), there are so many versions of 'Close Encounters' floating around that it's hard to know which one to pick if you've never been introduced to the film. So here's a quick overview. 'Close Encounters' opened on December 17, 1977, with a runtime of 135 minutes, and was an immediate sensation. Still, Spielberg remained dissatisfied with the final product; an accelerated post-production schedule, enforced by the studio to capitalize on the lucrative holiday box office season, led him to dub the theatrical cut a "work in progress." Three years later, in 1980, Columbia granted Spielberg the then unheard-of opportunity to revisit his epic and craft what would become known as 'The Special Edition.' Shortened to 132 minutes, he removed entire scenes, trimmed and reshaped others, and completed several "dream shots" -- all at a cost of over $1 million. But there was a concession; Columbia forced Spielberg to shoot an extended finale taking us inside the mothership, a sequence that, while expertly executed, did not advance the narrative and that Spielberg has publicly decried in the three decades since. Despite all the changes, 'The Special Edition' eventually proved to be just another rough cut. Finally, in 1997, Spielberg returned to his unfinished masterpiece for the third -- and presumably final -- time, creating what he now calls his definitive Director's Cut. Scenes were again added and reshaped and the extraneous "inside the mothership" climax excised. The result is easily the darkest and best version of the film (it's certainly my favorite), and with it, the book on 'Close Encounters' at last seems to be closed. But whichever version of the film you personally prefer, this first-ever Blu-ray version is sure to please, as it contains all three versions of the film, each remastered and accessible from the same disc via seamless branching. Spielberg's masterpiece -- in any form -- is a must-see for any sci-fi fan, so if you've never seen the film, you no longer have any excuses. As the first full-length theatrical feature from Steven Spielberg to hit either next-gen format, expectations are particularly high for this Blu-ray release. Perhaps unreasonably so, as 'Close Encounters' is not the type of film that's ever going to look all sparkly and clean. Indeed, although I've never seen 'Close Encounters' look better than it does here on this 1080p/AVC MPEG-4 encode, the film remains quite gritty by today's standards. Grain is visible throughout, and quite heavy at times. Director of photography Vilmos Zsigmond did amazing work on the film, but his naturalistic use of lighting combined with the fast-speed film stocks of the time only increase grain and softness. There are also a few instances of blemishes and white speckles on the print, though they are quite minor and far from intrusive. That said, putting it all into perspective, this is still an excellent presentation of this particular film. I've never seen 'Close Encounters' look so vibrant in color. Hues no longer bleed (particularly reds and blues) -- instead they shine through with a richness and clarity that is particularly effective with the effects. (The massive mothership at film's end is a sight to behold.) Black levels hold firm, although on occasion I thought some shots looked a bit flattened out in the mid-range, which lessens apparent depth. The transfer remains largely dimensional, however, and I was really impressed with the level of detail for such a dark film (I'd venture a guess that three-fourths of the movie takes place at night). Major compression artifacts (such as posterization or macroblocking) are not a problem, but noise is frequent (and usually hard to decipher from grain). Is 'Close Encounters' a reference-quality transfer? Probably not, if only by nature of the material. But there are some fantastic sequences that are truly demo worthy, and all things considered it's hard to imagine this one looking any better than it does in this Blu-ray presentation. Sony offers up two high-res audio options for 'Close Encounters': Dolby TrueHD and -- in a first for the studio -- DTS-HD Lossless Master Audio (looks like Steven Spielberg's longtime support of DTS hasn't wavered). Both high-res mixes are encoded at 48kHz/24-bit, and it's an embarrassment of riches, because even if 'Close Encounters' is no longer the state-of-the-art soundtrack it was at the time of its 1977 theatrical release, it holds up smashingly well. Sonically, the film itself has a bit of a split personality. The first half is mostly dialogue driven (though, as always, John Williams' classic score is its own character in the movie), while the other half is all about the otherworldly visitors. When the aliens show up, boy, does this track deliver. The scene where Roy Neary first encounters a UFO in his pick-up truck still delivers some of the most intense low bass I've ever heard on a home theater mix. Cranking up the high-res tracks, my subwoofer just about vibrated right off the floor -- this scene, along with the mothership climax, is a true test of any home theater rig's mettle. Don't turn up the volume on this Blu-ray edition of 'Close Encounters' unless your speakers can handle it. The rest of the mix is a bit more dated. There is a compressed feel to the film's dynamic range that, while not crippling, is definitely noticeable. There's never that truly expansive feel to the mix you get with a modern soundtrack. Dialogue sounds constrained, and if still understandable, it's never as distinct in the mix as I would have liked. Likewise, Williams' score is nicely spread out in the soundfield, but never quite soars in terms of fidelity. Surrounds are generally active, though again that's only usually when a UFO appears. Sounds in the rears are usually pretty easy to localize, so there is never that seamless "wall of sound" that you usually get with the best high-res audio presentations. That said, even if 'Close Encounters' is not consistently demo material, when it delivers, watch out. There are moments in the film that genuinely rattle the rafters. At long last, 'Close Encounters' is finally available in a true 'Ultimate Edition' that lives up to its billing (Sony is releasing this new version on both Blu-ray and standard-def DVD day-and-date). I've owned this film on so many different formats that I've lost count, but I can confidently tell you that nothing has been left out here. All the cuts of the movie are included on the first disc, with a second platter housing all of the documentaries, deleted scenes and trailers from past releases. Plus, we get some fresh material produced to celebrate the film's 30th anniversary, and even some Blu-ray exclusives (see the "HD Exclusives" section below). Let's start with the "Encounters" section of the supplements, which contains three different documentaries from three different periods in the film's history. Starting at the very beginning, the 1977 featurette "Watch the Skies" is a charmingly nostalgic 6-minute EPK. Although I usually hate these things, this one is so vintage that it's a kick to see -- the narration is uber-cheesy, and I love all the split-screen production footage that I don't think I've seen anywhere else. You won't learn much from "Watch the Skies," but it's still nice that Sony has included it. The real meat can be found in the whopping 97-minute "The Making of Close Encounters," which was first produced in 1997 to celebrate the film's 20th anniversary. Initially released only on laserdisc (it didn't make it to DVD until 2001), it was clearly not conceived for an interactive format. It's a static, linear documentary (produced by longtime Spielberg collaborator Laurent Bouzereau), but the kind I love -- it tells a story simply and directly, with no extraneous bells and whistles. Sure, it's stiff and stodgy in spots (expect lots and lots of talking heads), but it remains an evocative snapshot of a culture undergoing a massive paradigm shift, one that was developing a new conception of extra-terrestrial intelligence, moving away from organized religion and hovering on the brink of a technological revolution in cinematic special effects. Spielberg is particularly eloquent about how risky his labor of love really was. He was not yet Hollywood's golden boy, and 'Close Encounters' would prove to be his most personal work up until 'Schindler's List.' His faith in the project would border on obsession, and aptly parallel the quest of his protagonist, Roy Neary. Recollections of the cast and crew, including Richard Dreyfuss, Melinda Dillon, Teri Garr, Bob Balaban and director of photography Vilmos Zsigmond, poignantly reflect their director's often fragile state of mind and describe a set where emotions ran high. There is also extensive (but not overtly technical) discussion of the film's ground-breaking special effects, which still dazzle even in this age of computer-generated imagery. "The pure art of misleading the eye, of controlling where and what the viewer gets to see... those days are gone," Spielberg laments. "The Making of Close Encounters" is a monument to that era. Next up are seven Deleted Scenes, running about 10 minutes in total. Some are extensions of existing material, while others are scenes that didn't appear in any of the three versions of the film. Unfortunately the quality is rather poor, as apparently only scratchy prints of the scenes were available (video is 480i/MPEG-2 only). Note also that there is no "Play All" function provided, which is a surprising omission. Finally, a note on this set's impressive packaging. A fold-out keepcase houses the discs, as well as several other items. First up is a cool little mini-poster (dubbed "A View from Above") which illustrates all of the different changes and alterations made to the various cuts of the film, in flow chart form. Next is a 64-page Collectible Booklet that's quite substantial. Though short on text (it only contains a few factoids and basic cast bios), it does boast many production photographs that I'd never seen before. All of these physical goodies come wrapped up in a very sturdy outer shell, which is nice and shiny and compliments the film's classic key art perfectly. A very attractive package indeed. 'Close Encounters' is still so etched in the popular consciousness that it's hard to believe that it's been thirty years since it first hit theaters. Although the film has been released in a myriad of different versions (all presented in full on this Blu-ray), whichever version you personally prefer, the film remains an uplifting experience that's an absolute landmark of the science fiction genre. This first-ever high-def release truly is the 'Ultimate Edition' -- I've never seen the film look or sound better, and the extras are a great mix of both new and old. Top it all off with some nifty collectible packaging, and you've got a great release that easily earns its hefty $49.95 price tag. Mr. Spielberg, I'm ecstatic that you've finally jumped into high-def with 'Close Encounters,' and I can't wait to see what's next.